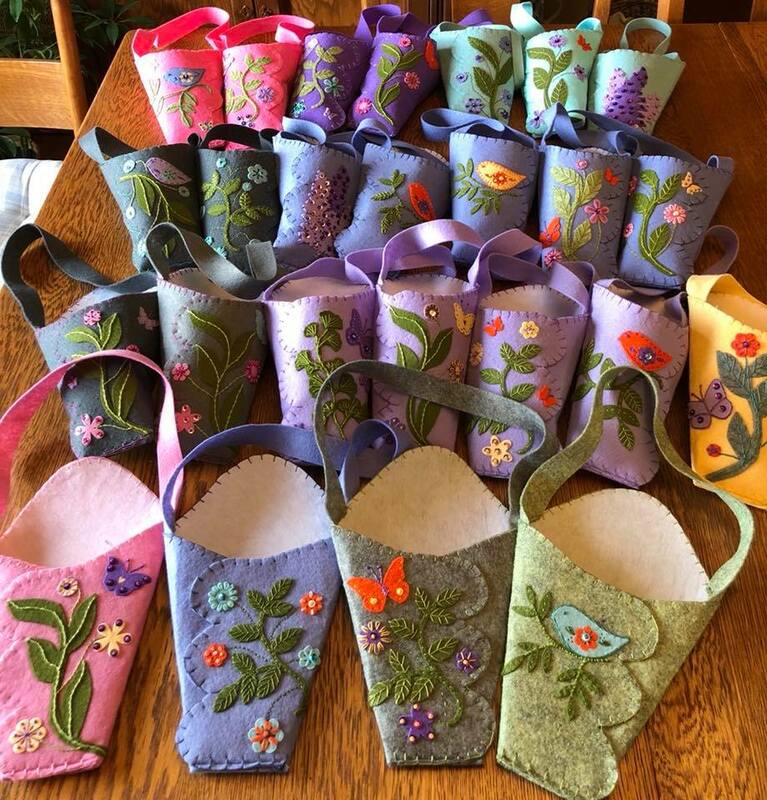 Lots of May Baskets by Nancy Batchelder! 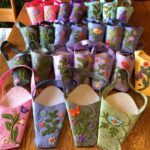 Just had to share these absolutely delightful May baskets that were made by Nancy Batchelder – can you believe she made 25 to be exact?!?!?! That’s one productive lady. She said she is known for her May baskets. 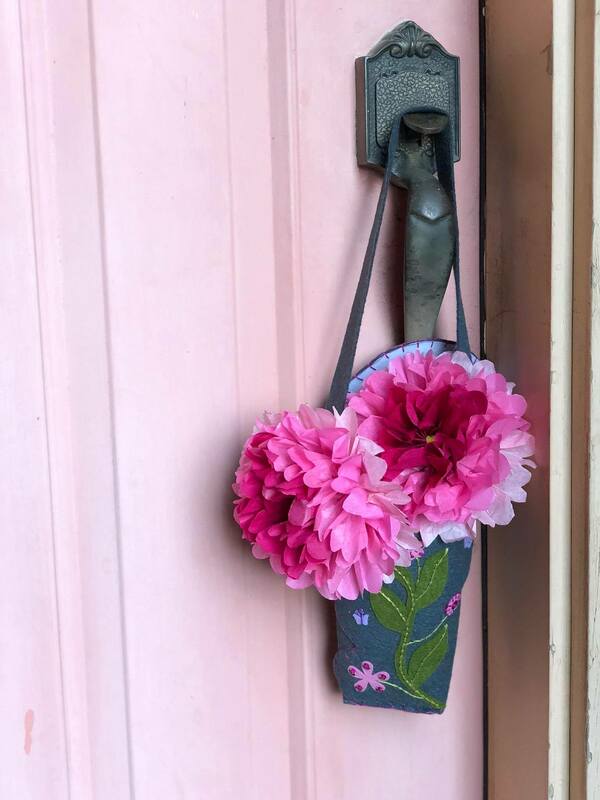 She used the Wall Pocket pattern as inspiration and found a way to make it all her own! She used wool felt blends and reduced the pattern on her printer so the template would fit the wool felt sheet sizes. She also used a Sizzix machine and die cuts to ‘dress up’ each basket, adding little sparkles and fun embellishments along the way. 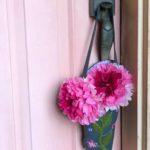 Wouldn’t you just die to find one of these hanging on your door on May Day??? Even the hanger is made with a strip of wool blend felt. Thanks to Nancy for being willing to share these here. Anyone who knows me knows I am all about creativity and this is exactly what makes me a happy designer. The former art teacher in me is absolutely thrilled when I’ve been able to inspire someone to find their own creative gifts. So next time you are holding a pattern in your hand, don’t be afraid to ‘give it your own spin’! You might surprise yourself and make others smile as well.